Outside of the standard Rolex, Tudor, and Zenith, Lemania’s single pusher chronograph has to be considered amongst the most elegant military designs. 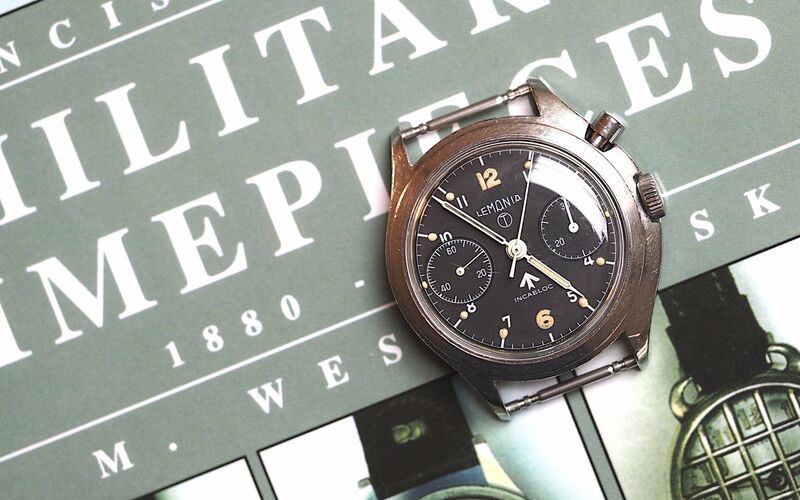 Lemania created chronographs for Sweden, South Africa, and the UK. Powered by the simple Lemania cal 2220, the chronograph has register functions encoded entirely to the single pusher. The simple design is quite attractive and purposeful. In decent condition, these are becoming quite collectible. Like most things, value correlates strongly here to how well these are taken care of. This example sports a gorgeous tritium, and a rarely opened movement. The entirely unique offset case is entirely unpolished. A few deep scratches tell tales of real use. Find a decent NATO for the fixed spring bars and you’re in business. This example was posted to eBay UK this week from a highly rated seller. Find it here for 3950 GBP.